Different web tools and apps help students mark up, highlight, and leave comments on readings and their writings. 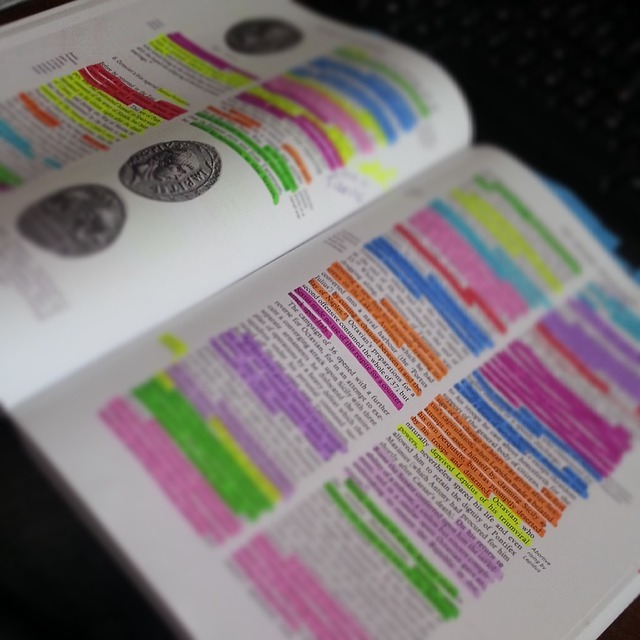 This is a whole new way our students can take a deeper look at their readings and not have to physically ruin their books with highlighters and written notes. Additionally, some web tools, such as Owl Eyes, provides students with digital versions of classic texts and articles. Teachers and students can also use annotation tools to provide feedback on essays written online. For more ideas and tips on getting students to mark up readings with annotation tools check out our webinar recording, Teaching Critical Reading Skills. To learn more about integrating technology to support English language learners, attend our free bimonthly Friday webinars. Edji allows students to highlight and comment on readings with written text or emojis. Active Textbook easily converts any reading into an interactive text. Students are able to add comments, scribble, and highlight the text collaboratively. They can also access dictionaries and take quizzes. Kami is a free app for Google Drive, which easily allows students to highlight text, leave comments, add arrows, and also leave voice comments. Teachers can respond to these annotations to offer feedback. Kaizena is a free web tool and app for Google Drive, which allows teachers and students to highlight text and leave voice or text comments on readings. For collaborative highlighting and commenting try Hypothes.is, an education tool and extension, NowComment, or the Genius Web Annotator. Owl Eyes is a web tool to annotate the classics and answer quizzes. Check out our review of Owl Eyes here. Read and Write is a web tool and Google Chrome extension for annotating and highlighting pdfs. Other cool features include a dictionary, speech-to-text, and translation. Teachers are given free access to the pro version for a limited time. Diigo is a free social bookmarking web tool and app that allows students to annotate pdfs and other saved bookmarks. The Grackle Marks free add-on for Google Docs also allows teachers and students to highlight information in a Google Doc and add comments. Snapchat and other image editing apps allow students to take a snap shot of their readings, highlight, draw on the image, and add stickers, such as questions next to words they don’t understand or stars next to a key point. Check out the Teaching with Technology Certification course we offer online. Live TESOL webinars are presented every other Friday at 4 PM Eastern with Shelly Terrell. TESOL Lectures are open to the public, so feel free to invite a friend. To enter a TESOL Webinar, click here https://americantesol.adobeconnect.com/terrell/. Next, click Enter as a Guest, type your name, and click Enter Room.